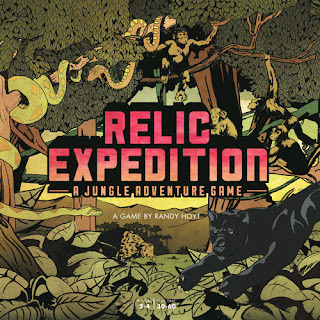 Relic Expedition - 50% Off! Originally posted by Board Gaming Deals. 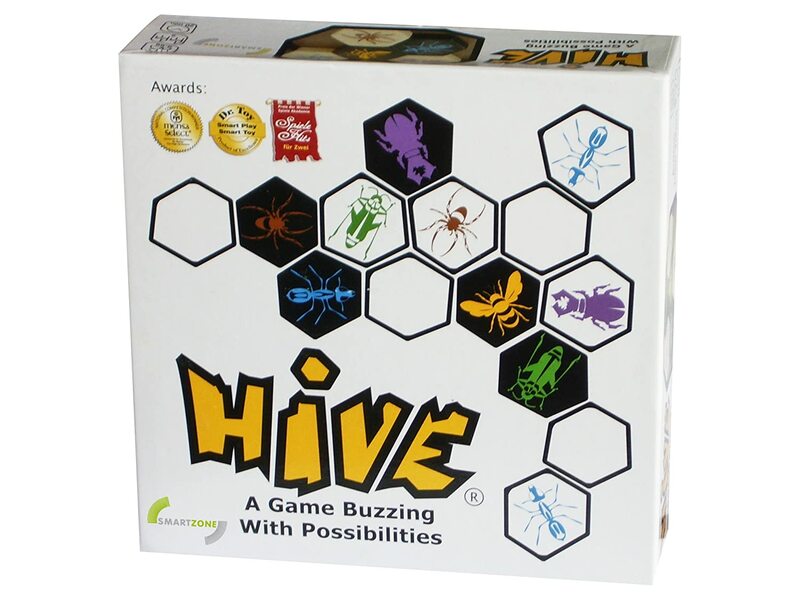 "Hive is a highly addictive strategic game for two players that is not restricted by a board and can be played anywhere on any flat surface. Hive is made up of twenty two pieces, eleven black and eleven white, resembling a variety of creatures each with a unique way of moving. With no setting up to do, the game begins when the first piece is placed down. As the subsequent pieces are placed this forms a pattern that becomes the playing surface (the pieces themselves become the board). Unlike other such games, the pieces are never eliminated and not all have to be played. The object of the game is to totally surround your opponent's queen, while at the same time trying to block your opponent from doing likewise to your queen. The player to totally surround his opponent's queen wins the game." 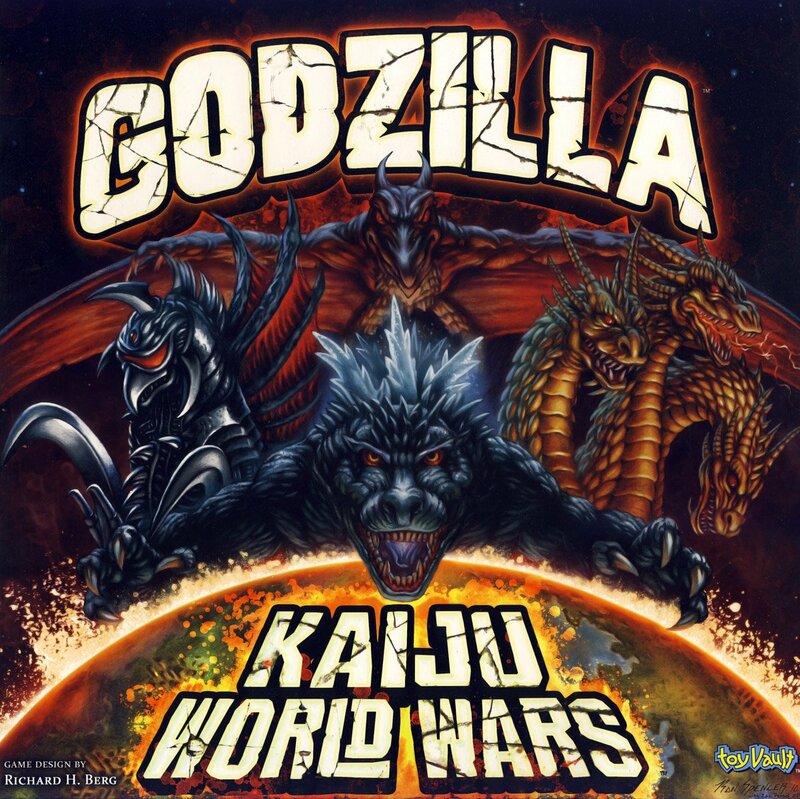 Godzilla Kaiju World Wars - 53% Off! "GODZILLA: KAIJU WORLD WARS will recreate all the action with the kaiju of the famous Toho (licensed) movies. Kaiju will battle kaiju . . .and humans . . . to destroy cities and each other. This will be the first in a series of games that will all be playable by themselves but will add new and different kaiju to the series, as well as enabling players to "build" bigger cities. The games will include figures of the kaiju as well as building pieces to give players a great 3-D visual effect, as well as enabling them to destroy all those buildings. The game uses a unique Battle Card system to resolve combat. The first game will include Godzilla, Gigan, Rodan and King Ghidorah. GODZILLA: KAIJU WORLD WARS will be fast, furious fun fighting game for ages 14 and up . . . with a playing time of one hour or less." 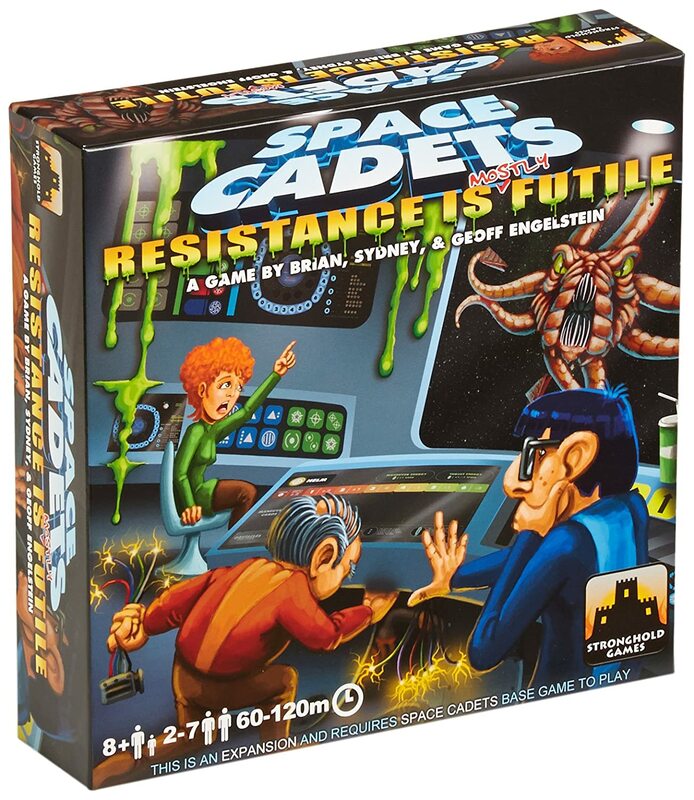 Space Cadets Resistance Is Mostly Futile - 50% Off! "Space Cadets: Resistance Is Mostly Futile is the first expansion for the original Space Cadets game. A variety of new missions, map obstacles, and enemies are included to challenge both novice and veteran crews. Even missions for just two players! Blast parasites, save a space station and stop the mighty Star Kraken, an enemy unlike any you have faced before. Survive lasers and tentacles and the well-meaning Science Officer tearing apart your ship and prove that you deserve the title of a true Space Cadet!" 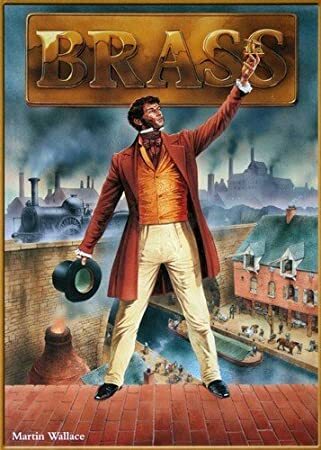 " In Brass the players represent industrialists in northern England during the heyday of the industrial revolution. Each player needs to build an economic engine that surpasses the other by the time railways are established and the foreign markets have been saturated with English cotton." Smash Up - 37% Off! "The "shufflebuilding" game Smash Up starts with a simple premise: Take the twenty-card decks of two factions, shuffle them into a forty-card deck, then compete to smash more Bases than your opponents! Each faction brings a different game mechanism into play – pirates move cards, zombies bring cards back from the discard pile, dinosaurs have huge power – and every combination of factions brings a different play experience. When a Base is smashed, each player in first, second and third place scores points. Fourth place? Sorry, bro – try harder next time." Eight Minute Empire Lost Lands - 34% Off! "Wanderers from afar bring tales of the strange and powerful in distant lands. Set out to find lost heroes, creatures, and cities as you build your kingdom in this first expansion to Eight-Minute Empire: Legends! 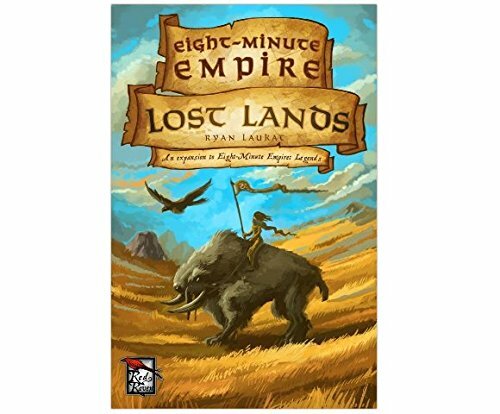 Eight-Minute Empire: Lost Lands adds even more variety and depth to the game." 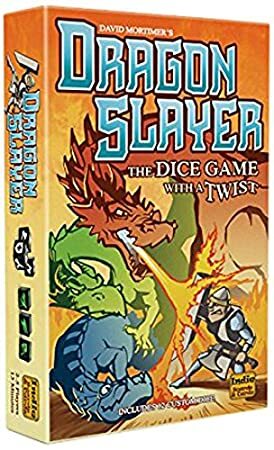 Dragon Slayer - 31% Off! "You are the world's most fearless dragon slayers, competing to be crowned the master slayer. Your brave warrior must search far and wide for these ferocious beasts, defend yourself against its attacks and be ever ready to strike them down. Even in victory your companions may challenge your courage, demanding that you prove your valor with foolhardy audacity or cower in their mocking taunts. Dragon Slayer is a new push-your-luck game that's a deceptively difficult challenge. Like all great PYL games, the rules are simple, with you repeating the Dragon Hunt until you decide to stop. The very interesting twist is the player challenges. The ability to challenge — and rewards for passing or failing when challenged — add a dimension to everything that you do on your turn. What order do you go after dragons? When do you stop? When do you challenge? Who do you challenge? How do you get others not to challenge you?!" "Witness is set in the world of Blake and Mortimer, a Belgian comic series started in the 1940s by writer/artist Edgar P. Jacobs. In the game, which is playable strictly by four players, you each represent one of four characters and your goal is to solve mysteries or crimes by sharing information with one another — but you are quite restricted in how you can share information! After two more rounds of the most inefficient crime-solving system ever created, players read the conclusion of the case, which might offer additional information or another visual, then they each individually answer three questions about the case, with the group scoring one point for each correct answer for a final score ranging from 0 to 12." Krosmaster: Arena - Frigost Expansion - 50% Off! "Welcome to Frigost. Home of the cold-hearted Count Harebourg and the site of the first Extension for Krosmaster: Arena. The Demons of the Hours and Minutes have selected this desolate region as your next battleground and they are particularly excited for the new dangers awaiting you. Give them a good show, but be sure to keep your head! New arenas, new backgrounds, new demonic rewards, new mob tokens, frozen markers... This extension will make you shiver with delight!" Run Fight or Die! - 44% Off! "The undead hordes are back! But this time they're not miniatures shambling around a modular board - the zombies are coming straight for you! As in most zombie games, you represent a unique character with your own character traits, except in Run, Fight, or Die! you will also have your own individual board with zombies you alone will encounter. Zombies move closer to you every round. You run from location to location, searching for weapons and survivors in a desperate attempt to stay alive. Survivors may bring new skills to help you in your desperate fight for survival, or in some cases, new challenges to overcome. In either case, every survivor provides you victory points. The game ends either when one player finds five survivors and declares the last round, or when a player reaches the town line (and the total Followers in play meets a minimum), or if a player gets bitten and turns. Be careful, some followers may turn against you, while others can slow you down. When it comes right down to it, the choice is simple: Run, Fight, or Die! Scoring is based on the total points of survivors and remaining health of the players’ characters. Run, Fight, or Die! 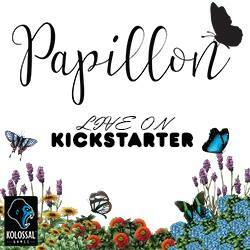 is a frantic first person experience for 1 to 4 players (will play up to 6 with the 5/6 player expansion). 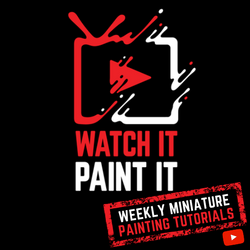 The game is loaded with goodies, including 4 Action Boards, 5 Character Boards, a Loot Deck, a Location Deck, an Event Deck, a Follower Deck, Mutant Deck, 7 Custom Dice, tokens and beautifully crafted miniatures."